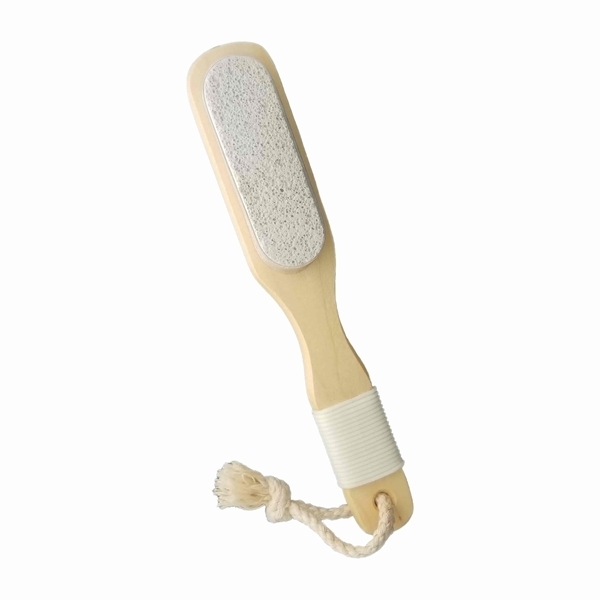 This double-duty pumice foot file with boar brush with and wooden handle is a perfect addition to your pedicure routine. 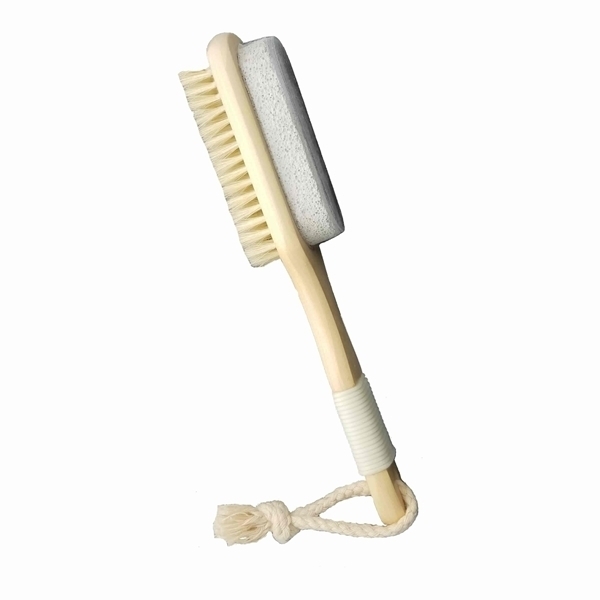 all-natural boar bristles on one side of this foot brush does a great job of scrubbing while the pumice stone on the other side exfoliates rough dry skin. 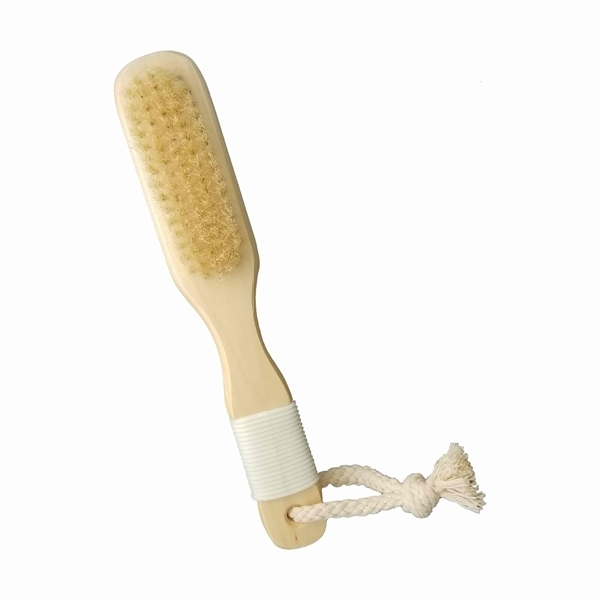 It features a rubber grip and has an attached cotton cord to easily hang to dry.